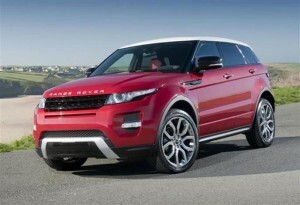 Range Rover Evoque Tuning - more performance for your Evoque. Viezu Technologies can remap the fantastic Range Rover Evoque Tuning via the OBD Port, with a developed a map for this truly fantastic vehicle that will excite and provide gains of up to 30 BHP and 60 NM of torque. This customised remap will transform this already fantastic vehicle and provide a better response and smoother driveability. As you can see from the pictures what a fantastic vehicle that does not look out of place in the country or the city, a versatile vehicle that provides power and performance with compromising quality. To be able to offer a loyal Land Rover client?s the opportunity to remap these fantastic vehicles is a true achievement. With our ECU remapping we provide the ingredients to provide additional torque and power to make driving even more effortless. The Standard Evoque delivers a top speed of 135 MPH and 237 BHP with 251 LB of torque add on to this the improvements Viezu can remap and this takes the torque to over 300 FTLB of torque. Fuel economy does not suffer either and you can potentially improve the standard 32.5 MPG average with our ECU Remap. The additional torque will help when pulling a heavy load as it takes the stress of pulling caravans, trailers and any item that normally puts additional load on the engine all via the OBD port. By smoother out the engine map this creates a more reactive responsive drive.